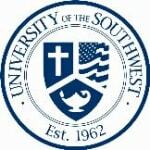 University of the Southwest a private, liberal arts school located in Hobbs, New Mexico, provides undergraduate and graduate degrees in a variety of fields, including business administration, computer science, criminal justice, education, biology, finance, marketing, and mathematics. The university offers both traditional and online education programs. It reports that it emphasizes the traditional American values of faith and freedom. The university's School of Education offers bachelor's and master's degree programs which prepare students for professional educator positions. The university's School of Business provides an array of undergraduate degrees, as well as an MBA, a fast track from BBA to MBA, and an MBA with an emphasis in sport management and recreation in a distance-learning format.